As one of the largest-selling genres out there, romance is hot-hot-hot on and off the page. Laura Lascarso joins us today to share a few tips on what makes these stories sizzle. Even if you don't write romance, these are great tips for anyone looking to create compelling relationships between characters (just adjust the romance aspects to suit your story). 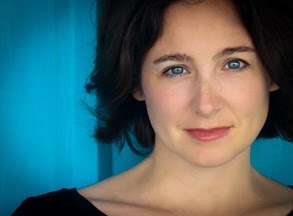 Laura is the author of COUNTING BACKWARDS, winner of the 2012 Florida Book Award gold medal for young adult literature. Her newest project, RACING HEARTS, is a series of e-novellas that tells the story of two star-crossed lovers thrust into the world of competitive car racing. The second installment of this steamy summer romance will be launching June 30, 2015 with Leap Books. In all of these stories, there’s an external pressure keeping the lovers apart that is predicated on more than a simple misunderstanding. The stakes are high and the consequences of them being together are immediate and real. If the first kiss comes in the first few chapters, where do we have to go from there? We want to experience it all for the first time, along with the characters. We want to see the fumbling, sweating-palm nervousness of the first time your crush speaks to you, the exhilaration of realizing that they might hopefully like you too. The butterflies, the tingles, the feels. Don’t keep any of the scintillating details from your reader. These are the breadcrumbs that keep the reader following you down the path. Invest them in this romance and make sure the pay-off is big. At some point in the story, generally between the midpoint and final act, there is a rift between our lovers, caused by either themselves or outside forces working against them. In Titanic, it was when Rose doubted Jack’s integrity (emotional separation) and then it was the sinking ship (physical separation). In Romeo & Juliet, it’s when Romeo is banished (physical separation). In the Hunger Games, it’s when Peeta realizes Katniss has been using him all this time (emotional separation), then again when he’s captured by the Capitol (physical separation), and then again when he tries to kill her (mental separation). The break is essential because it gives the characters something to fight for (each other) and against (the forces that keep them apart). Sometimes they win and sometimes they lose, but the battle makes it worth the read. Like the flame to the Bunsen burner in Bella’s first chemistry class with Edward, our characters need to have chemistry in order to sell this love story. Good chemistry is about a whole lot more than looks. The characters need to complement each other, challenge each other, excite each other, and fill the missing pieces that each of them have. Can they argue? Like cats and dogs, but keep the arguments respectful and give the reader enough insight to understand why they’re arguing. And be sure to capitalize on the make-up. Now, for each of the above suggestions, I’ve listed a few of my favorite movies and books as required reading/viewing. How about you? What are your favorite romantic books and movies? Any tips for us writers? Please share!